The Hyster Company has prided themselves on being more than only a simple forklift and lift truck maker. They are also considered to be part suppliers, trainers, capital procurement specialists and excellent customer service providers. With regards to lift trucks, Hyster dealers are capable of handling all aspects. Every service is available from your local Hyster lift truck dealer. 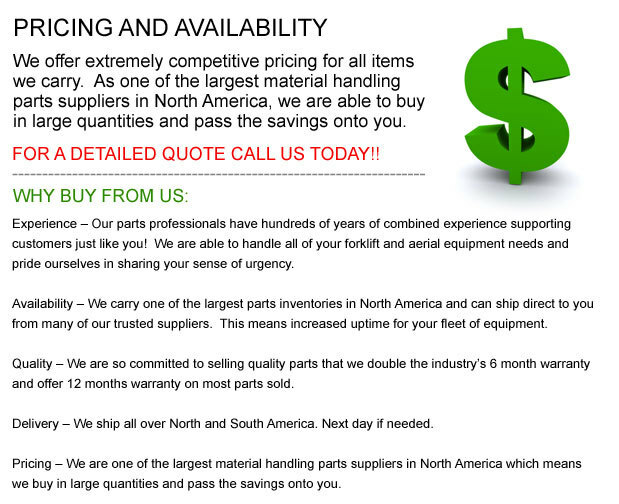 The dealers are trained material handling professionals who have over 32 years in the business on average. There are over 220 Hyster dealerships all over North America who are ready to earn your business, serve all your requirements and answer any of your questions each and every day. The carefully selected dealers and people who they hire is amongst Hyster's greatest assets. These people are really experienced and are able to understand your business first hand. They could help you pick the suitable lift truck and help you pick the right forklift as well as support you and your staff after the sale is done. The dealers offer fully equipped service vehicles which can offer a fast service response. These are a few of the important factors which keep your operation up and running. Hyster dealers take pride in being able to know the way to manage your fleet with the most efficient cost to your operation. The Hyster Dealer Network enables you access to all of the following programs: National Accounts, Hyster Genuine replacement parts, UNISOURCE Parts Program, Lift truck rental fleet, Competitive financial solutions through Hyster Capital, Service Training, Operator training and Service Training. MONOTROL Pedal - The MONOTROL Pedal offers one foot direction and acceleration control. This is terrific for the operator because it leaves your hands free for steering and hydraulic levers. The Hyster MONOTROL pedal enables your operators to maintain a high level of productivity. The optional armrest is able to offer full forearm support by its cushioned and contoured design and also has built in E-hydraulic TouchPoint minilevers. The armrest has been designed with many features which will help maximize operator comfort and overall ease of use. These features comprise a seat side directional control switch, emergency disconnect button, the horn and hydraulic functions. To the uncluttered floor plate and the tilt steer column, there is a 3-point entry and exit system. This ergonomically designed compartment plays a big role in improving the machinery's efficiency. What's more, there are numerous available seat options in order to be customized for any driver.